When I first heard that David Hasselhoff's daughters, Taylor and Hayley, were pop stars, I was hesitant to say the least. Given their Dad's amount of...erm..."talent" I really had low expectations when it came to the girls. That all being said, I think I might have misjudged what a good beat, some vocal effects and yes, a smidgen of talent, can really do. Going by the name Bella Vida, "Kiss Kiss Me Bang Bang" is the pop duo's first single and it's surprisingly catchy. Their sound is sort of a cross between Aly & AJ and The Veronicas, basically dance pop with loads of teenage attitude. I actually haven't yet heard the radio edit of the song, but if the Wideboys Remix is any indication, I think that the Hasselhoff sisters might be on to something here. Listen to the Wideboys radio edit below and tell me what you think. "It's the dream of every parent to be able to help their children succeed. I told the girls that I would help them open the door when they're ready, but they would have to walk through it on their own. This is their time and I am excited to be a part of it." Well isn't that sweet. While it's going to be tough for the girls to trump their Dad's instant classic "Jump In My Car," I'm glad they're giving this whole pop career a go. While I'll reserve final judgement for when I hear the original edit of the track, the remix is a promising indication as to what we can expect. I'm really looking forward to hearing what Bella Vida can come up with! I LOVE it when I hear a hot remix of an old classic. 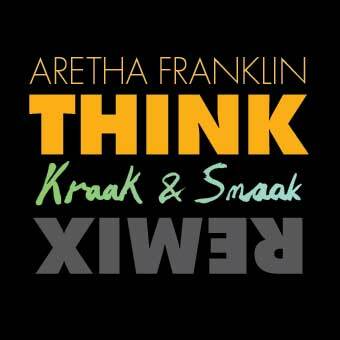 Case in point, these FABULOUS remixes from Kraak & Smaak (a Dutch trio of producers) of "Think" by the Queen of Soul herself, Aretha Franklin. AMAZING! 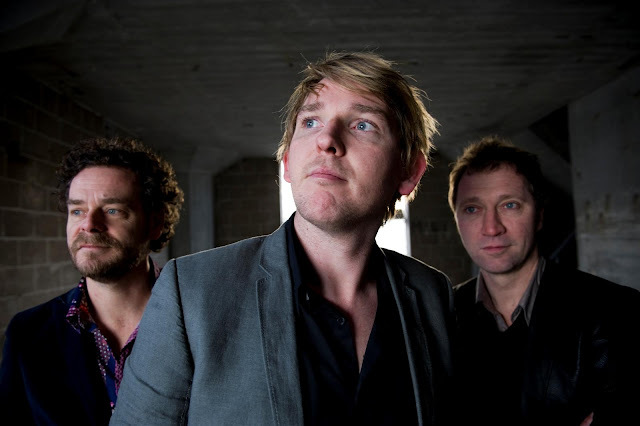 Hailing from Leiden in The Netherlands, Kraak & Smaak (Oscar de Jong, Mark Kneppers and Wim Plug) released their debut album, Boogie Angst, in the UK in 2005/2006 after receiving support from radio big wigs including Annie Nightingale and Pete Tong. The trio spent much of 2006 and 2007 touring, playing a variety of gigs and festivals including Pinkpop, Sziget, SXSW, Miami's Winter Music Conference, Bonnaroo, Coachella, the Australian Good Vibrations Festival as well as a small club tour in America. Following a successful bout of appearances throughout the States, the boys of Kraak & Smaak were starting to make a name for themselves in America. Boogie Angst was released in America in June of 2006, receiving prominent features on U.S. TV shows including Grey's Anatomy, Men In Trees and What About Brian? In 2007, the boys released The Remix Sessions featuring Kraak & Smaak rejiggerings of songs by Jamiroquai, Sarah Bettens, Kruder & Dorfmeister as well as a hot remix of "Man Of Constant Sorrows" from the award-winning O Brother, Where Art Thou? soundtrack. In 2008 the trio released their sophomore set, Plastic People, featuring the single "Squeeze Me" which included guest vocals by UK singer Ben Westbeech. Ultra Records released the album in America in September of 2008 following positive Internet buzz from Perez Hilton, among others. Kraak & Smaak continued to tour and festival in 2008 and 2009, making their debut U.S. TV appearance on Jimmy Kimmel Live! Between 2009 and 2011 de Jong, Kneppers and Plug toured, collaborated and remixed other artists and DJs before finally releasing their third album, Electric Hustle, in April of 2011. Their last single, the retro-pop-infused "Call Up To Heaven" featuring big voiced- singer Lex Empress (think Shirley Bassey vs. Amy Winehouse) was released the same day as the album's release - April 11th - and features remixes from Gramophonedzie, Smoove and Grandmono. Check out these SUPER hot remixes of an Aretha Franklin classic and download Electric Hustle on UK iTunes HERE.